Authorities believe the young man accused of storming a Florida high school and gunning down 17 people had access to 10 firearms, all long guns, law enforcement officials briefed on the matter told ABC News. A law enforcement source said the suspect, Nikolas Cruz, is believed to have purchased seven of the long guns himself. The other three firearms were weapons authorities believe Cruz had access to but did not purchase, the source said. In addition to the AR-15 variant Cruz allegedly used in the school shooting, he also purchased an AK-47 variant, one law enforcement official said. All appear to be legal purchases, sources said. Cruz, 19, was charged with 17 counts of premeditated murder after the Valentine’s Day massacre at Marjory Stoneman Douglas High School. 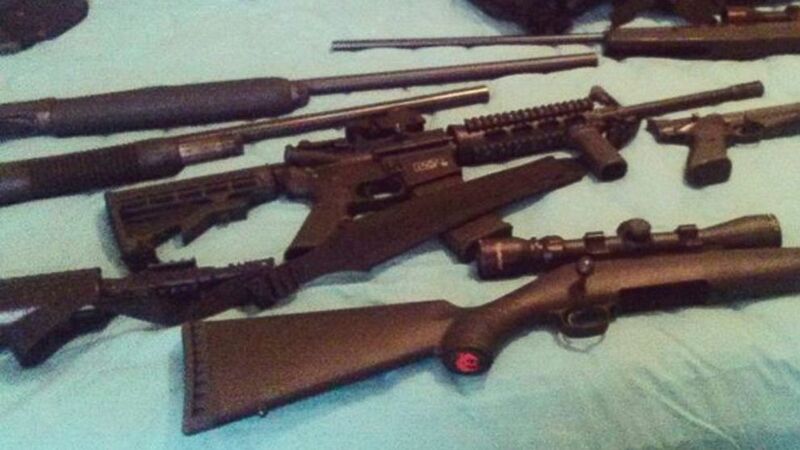 This photo posted to Nikolas Cruz’s Instagram account shows weapons lying on a bed. The other firearms Cruz had purchased were an assortment of shotguns and standard rifles, the source added. No handguns associated with Cruz have been recovered by authorities, according to the official. Nikolas Cruz appears in court, Feb. 19, 2018. February 22, 2019 Comments Off on How is the end of the Islamic State group’s caliphate being reported?